Apr 29, 2017 Version 5.5.2 Released. Q2: What can I do with MP3 Cut? A3: MP3 Cut is totally free of charge for any private & non-commercial usage. 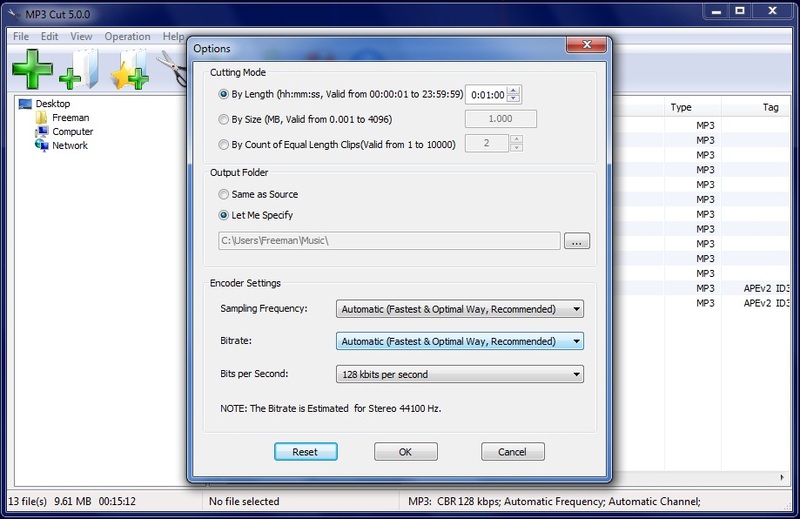 For commercial usage, please download Lossless MP3 Cutter Joiner. A7: This is a good question, but unfortunately, the short answer is YES. Since MP3 is a lossy audio format, converting any audio formats (e.g. MP3) to MP3 is a quality-loss process. Like most MP3 Cutters on the market, MP3 Cut just reencodes MP3 files and degrades the sound quality. If you are seeking a decent MP3 Cutter which is capable of directly Cutting MP3 without quality loss, please download Lossless MP3 Cutter Joiner.